Are we a nation of Taliban apologists? 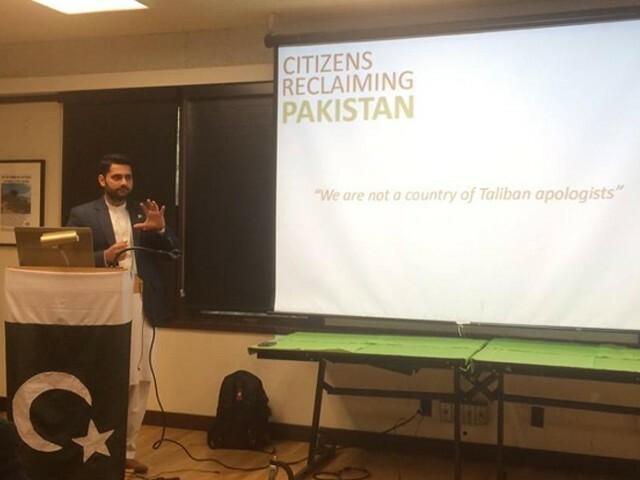 The point was well taken since he was in the middle of a hard-hitting presentation about the terror threat in Pakistan and was not holding back his punches. 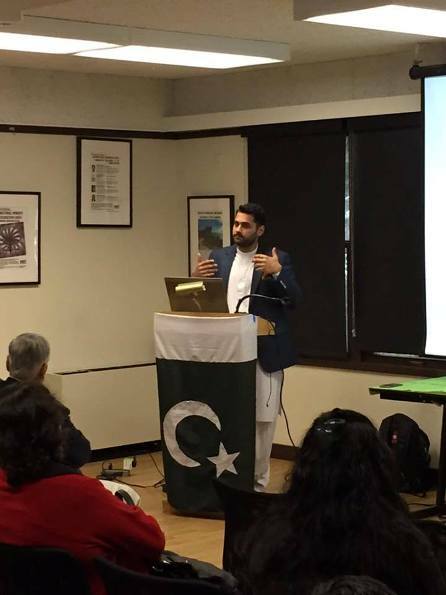 Clad in a white shalwar kurta with a Pakistani flag pinned to his lapel, Nasir clearly does not equate patriotism with denial. He emphasised that while we are not all Taliban apologists, our society has become a breeding ground for terrorists. 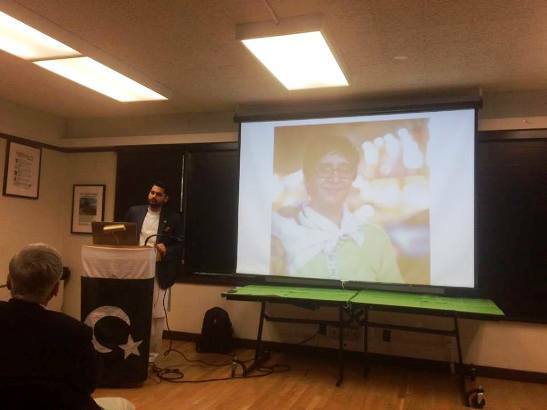 He is on an extensive tour of the United States to spread awareness about his #NeverForgetPk and #PakistanForAll movements, and on this particular day, he was speaking to an audience comprising mostly of expat Pakistanis at Stanford’s Bechtel International Centre. In a morbid twist of fate, Mahmud was murdered mere months after she uttered these words and has become another name in our frighteningly fast growing list of fallen heroes. Do we deserve their sacrifice? Or are we a nation of Taliban apologists? Nasir’s whole US tour is touted as a counter narrative to this allegation. However, his talk does not let us off the hook so easily. There was a continuous thread of accountability for what we have allowed our society to become. His focus was not even on the defiant Taliban who reject the state and constituent, but on those elements which operate with impunity from within the system. For example, he pointed out that the banned Sipah-e-Sahaba , as it was originally called, has reached deep into the institutions of our country. It has ties with all major political parties as well as the military. Under the guise of ever changing names and with patronage from elements within the state, they resurface, thrive, tout firepower and street power, and influence our social structure and mind set. He talked about the escalating hate, apathy, and religious divide that has seeped into our everyday lives. They are manifested as hate speech in our third grade text books, in our cavalier attitude towards disrespecting other faiths, in our selective mourning. So many die in Pakistan, said Nasir, that people’s first questions is not what, but who? Who died? And then that particular community mourns their own. He did not need to spell it out. It was clear that our collective humanity is dying, suffocating slowly under the rubble of conspiracy theories, fear, apathy, and sheer number of dead bodies. It is a tragedy for a country whose founding father had Shia family history, the first law minister was a Hindu, and the first foreign mister was an Ahmadi. A country which at birth was home to so many sects, that by their sheer volume we were compelled to be a tolerant society. But all those smiling young men were not all Muslims. They were, however, all Pakistani. The point Nasir stressed on is not to pit one faith against another, but to show that these very young men are so desensitised to bloodshed that they smile for the camera in the midst of it. For the majority Sunni Muslims, in one picture there is no fear of the state, and for the Christian minority there is no faith in the state. The state, he pointed out, allowed 55 charged terrorists to contest the elections in 2013, out of which 40 belonged to Sipah-e-Sahaba. So what can ordinary citizens do to fight this threat? Nasir and his team will be launching multiple applications in the near future that will tackle this problem through information sharing and dissemination. For example, #AajKeDin (today) will archive every act of sectarian and religious violence in the country, #HamariZameen (our land) will map out the affected areas, while #HamareHeroes (our heroes) and #HamareDusman (our enemies) will shine a much needed spotlight on the terrorists and their victims and so on. 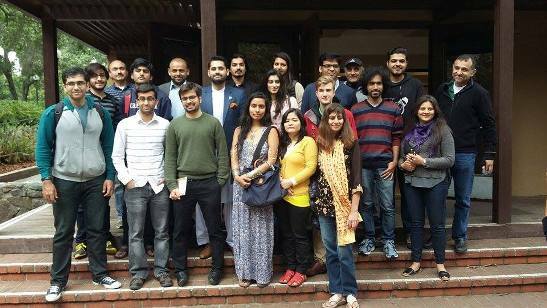 He needs journalists, professionals, everyday committed Pakistanis to join in and populate these resources, use them, learn from them, and cause change because of them. Nasir believes we can yet reclaim our land; we can face and defeat terror if we are mobilised. As the small crowd nodded in agreement, I looked around at the clearly motivated people but wondered whether this was enough? We need strength in numbers. We need a critical mass. We need constant relentless protest. We cannot rely on a few good people to keep fighting for us. We cannot expect them to pay the price of our silence with their blood. Otherwise, one by one, all those who risk their lives and limbs to raise a voice of dissent will be silenced and in that silence our indifference will ring out like the ominous wind that punctures the still before the storm. It will sing a morbid tune about the demise of a nation that abandoned its brave and honourable. A contributing editor for an online resource for healthcare professionals based in San Francisco, and a graduate of NYU School of Journalism. Question: Have these poster childs even achieved anything beyond funding and tours and applause and fame? Oh yes, i am jealous since I crave for a free US visa and perks. During his sermons, he forgets the fact that he is a lawyer but failed to move to courts for the ‘things’ he so profoundly believes in. Mere words and speeches yield nothing. Ironically, to US audience. Yes. Pakistanis are Taliban apologists. Taliban have killed Pakistanis more than any other group of people because Pakistanis are Taliban apologists. The love of Pakistanis for Taliban is directly proportional to the number of Pakistanis killed by Taliban. Same applies to Sudan’s love for Clinton for Al-Shifa bombing. Gujrati Muslim people’s love for Modi. The love of Sikhs for Indra Gandhi. Iraq’s love for Bush for bombing their weapons of mass destruction. supports terrorism in all it’s various hues and reincarnations. Horrible! is the favorite pastime there. Mullas chanting hatred is common/rampant. Burqa Mulla is revered, whose mureeds killed 45 Ismaili Shias, in Karachi. Thanks ‘wb’ ….it did not work. So obvious. The broken English. The labored syntax and grammar.